Want to keep the lady in your life happy? 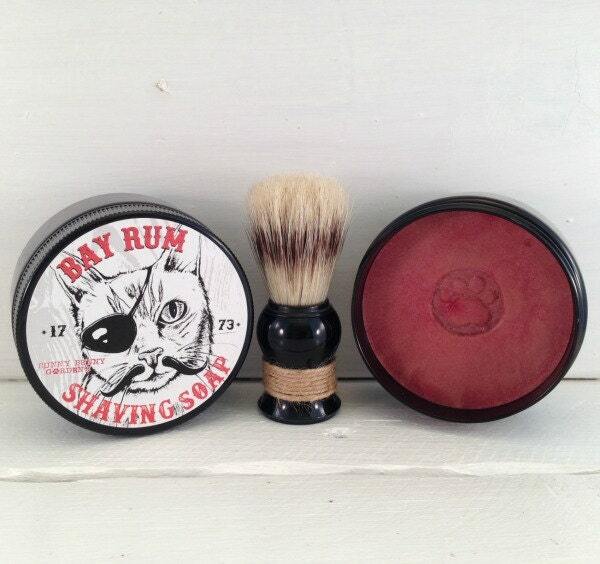 Then get a clean close shave!!! Because girls don't like smelly guys! 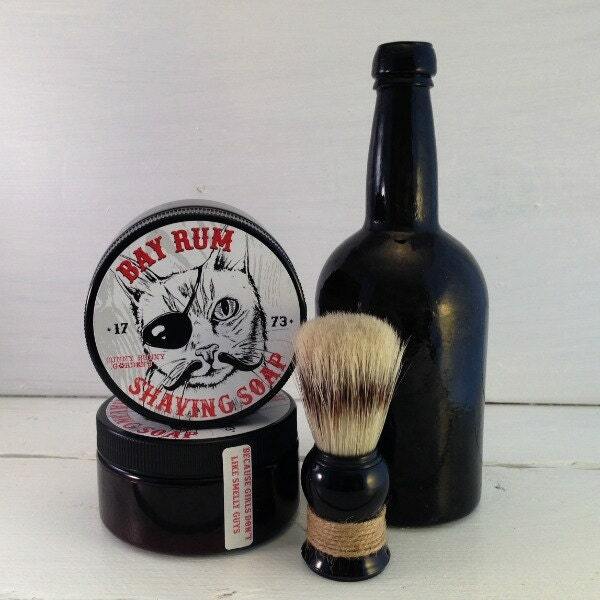 Old fashioned shaving soap have come back in style and we have the perfect manly scent of Bay Rum! 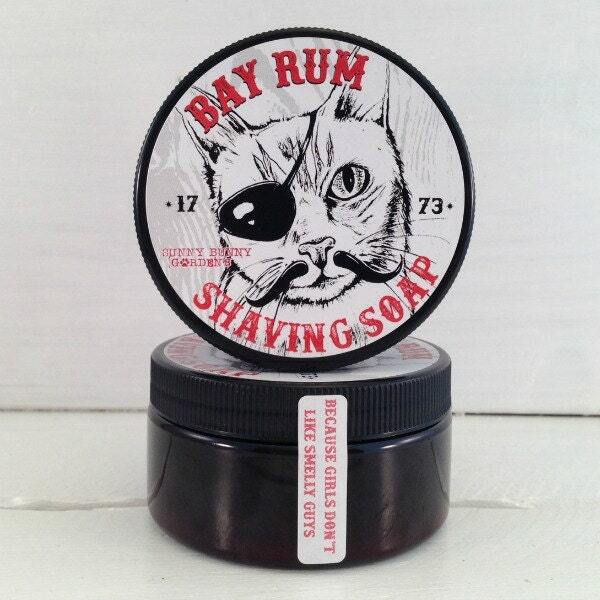 Smell like a man, feel like a pirate! Arrrr! Christmas gift for my husband. He loved it! We both love Sunny Bunny products! Super savon à raser odeur particulière mais qui me dérange pas . Mousse bien en bol comme sur la peau directement . 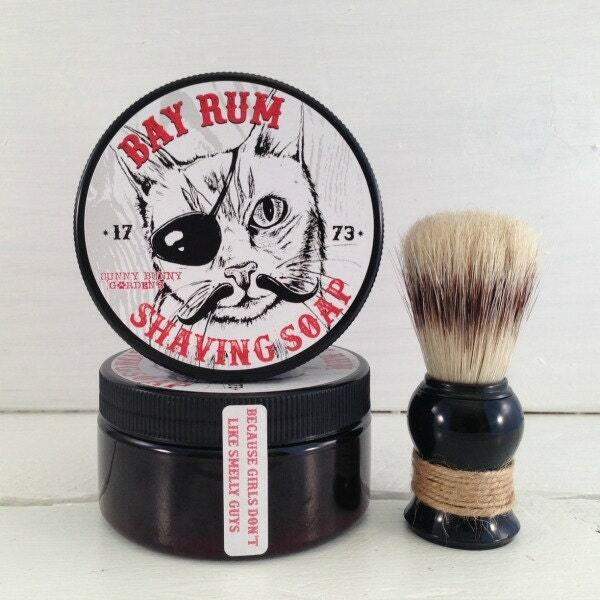 La glisse du rassage est bonne je recommande donc ce savon .